At Crayke Church of England Primary School we take very seriously our responsibility to prepare children for life in modern Britain. We ensure that the fundamental British Values are introduced, discussed and lived out through the ethos and work of the school. All curriculum areas provide a vehicle for furthering understanding of these concepts and, in particular, our RE, PSHCE and Citizenship lessons provide excellent opportunities to deepen and develop understanding. Children embrace these concepts with enthusiasm and demonstrate a good understanding of their application to their own lives. The school makes considerable efforts to ensure children have exposure to a wide experience beyond their local community during which these concepts are enhanced. Sporting events, a range of visits and use of outdoor education centres are planned to ensure children’s experiences are broad, meaningful and varied. Their strong rooted values-based understanding gives them an excellent platform for embracing all. As a school, we acknowledge that the aforementioned British values are not uniquely or specially British, simply that they are ones that British society abides by. Democracy is an integral part of school life. Pupils have the opportunity to have their voices heard through our School Council and pupil questionnaires. The elections of School Councillors are based solely on pupil votes. Weekly meetings of the School Council ensure the reinforcement of democratic processes, the application of freedom of speech and group action to address needs and concerns. Key to this is the concept of holding others to account, including those in positions of authority and influence. The importance of Laws, whether they be those that govern the class, the school, or the country, are consistently reinforced throughout the school day, as well as when dealing with behaviour and through Collective Worship. Pupils are taught the value and reasons behind laws, that they govern and protect us, the responsibilities that this involves and the consequences when laws are broken. This is further supported by the fact that the children formulate their own Class Contracts at the start of each academic year. 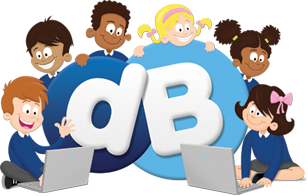 This allows the class to set out their priorities and expectations for class room behaviour. Within school, pupils are actively encouraged to make choices, knowing that they are in a safe and supportive environment. As a school we educate and provide boundaries for young pupils to make appropriate choices, through the provision of a safe environment and empowering education. Pupils are encouraged to know, understand and exercise their rights and personal freedoms and advise how to exercise these safely, for example through our E-Safety and PSHCE lessons. Whether it is through choice of challenge, of how they record, of participation in our numerous extra-curricular clubs and opportunities, pupils are given the freedom to make choices. Part of our school ethos and behaviour policy has revolved around Core Values such as ‘Respect’. Crayke pupils have been part of discussions and Collective Worship related to what this means and how it is shown. Displays around the school promote our values and this is reiterated through our classroom rules, as well as our behaviour policy. The concept of ‘fair play’, being magnanimous in defeat and participation in activities that promote kinship and affiliation with others are actively promoted throughout our school. As a church school, Collective Worship is fundamentally Christian in character, but recognises that those attending may have a wide range of faiths, or none. Tolerance of those of different faiths and beliefs is achieved through enhancing pupils understanding of their place in a culturally diverse society and by giving them opportunities to experience such diversity. Collective Worship and discussions involving prejudices and prejudice-based bullying have been followed and supported by learning in RE and PSHCE. Members of different faiths or religions are encouraged to share their knowledge to enhance learning within classes and the school. 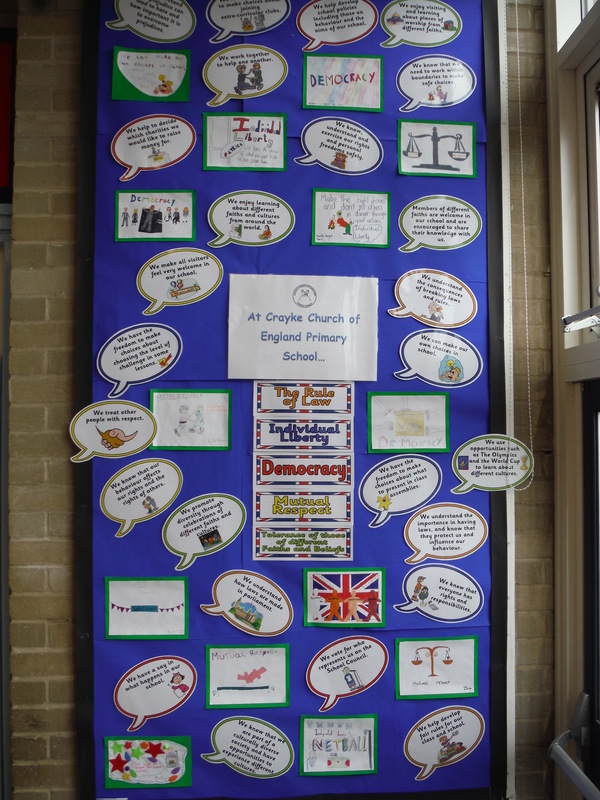 Crayke Church of England Primary School follows the agreed North Yorkshire Syllabus for Religious Education.